The Pininfarina-designed Ferrari 456 GT debuted in Europe in 1993 and was first available in the U.S. in 1995, and can be viewed as a replacement for the 365 GT 2+2 / 400 / 412 series. This front-engined 2+2 grand tourer had a 436 hp, 5.5-liter V-12 mated to a six-speed gearbox that propelled it from 0-60 in just over 5 seconds on its way to a top speed of 186 mph. All of this performance could be managed from a cockpit that provided Connolly leather appointments for four (two of whom would almost certainly need to be children) and every other comfort expected of a $245,000 automobile, including a cockpit-adjustable suspension. Shortly after Ferrari introduced the 456 GT, the 456 GTA became available, the “A” signifying a four-speed automatic gearbox. In 1998, Ferrari introduced an updated version, the 456M GT and GTA. This “Modificata” had a revised interior as well as some bodywork changes around the nose and hood. The 456M GT remained in production until 2003, and in all just under 3,300 456 GTs and 456 GTMs were built until giving way to the 612 Scaglietti in 2004. 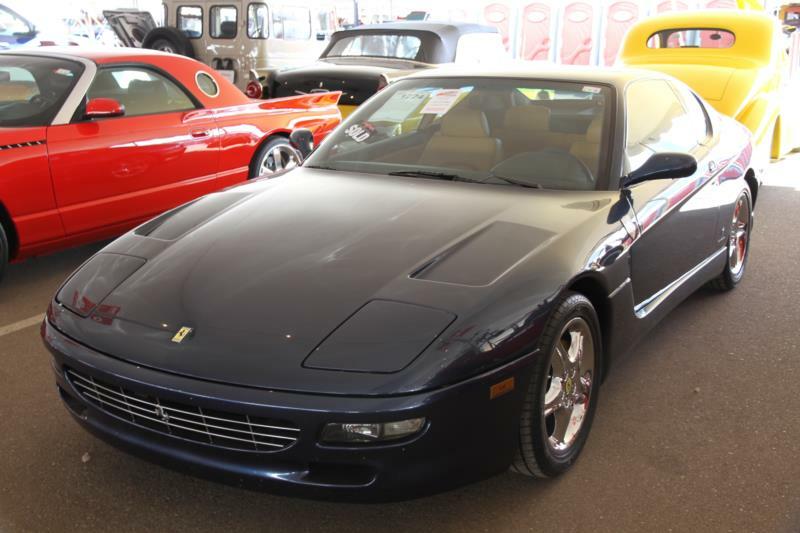 The 456 in all forms offers the almost irresistible combination of stunning Ferrari performance for four passengers when needed, wrapped in beautifully understated coachwork, and available today at a relative bargain price compared to when new. Prospective owners should look into examples that have minimal electrical issues as well as a service history that shows evidence of 15,000- and 30,000-mile services and compliance with all factory service bulletins and recalls-including a potentially costly one that involved the car’s power windows.